This case weighs over 40 kilo! In Win has officially launched their 8th Generation Signature chassis, the Z-Tower, perhaps the most extravagant case that we have ever seen. 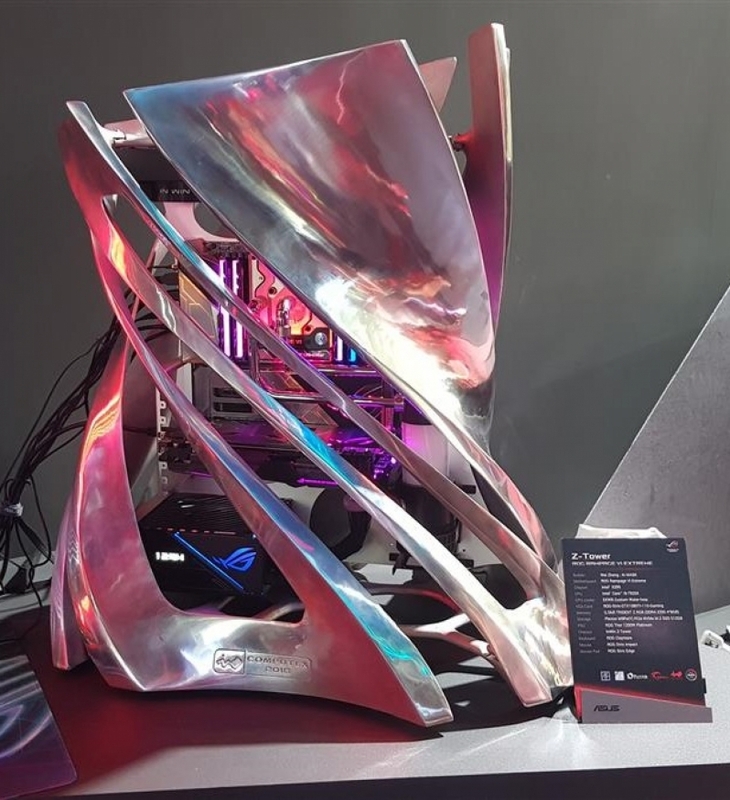 Some of you will remember us covering this case at Computex 2018, appearing at the ROG booth in its unadulterated polished aluminium glory. This case is striking, albeit difficult to use. The case is primarily crafted using sand cased aluminium, which is then refined and polished using a CNC milling machine, making the production of this case very labour intensive when compared to most PC cases. Given the sheer size and bulk of this chassis, it is unsurprising to find out that this case weighs over 40 Kg, even without other components inside the case, which could have a full system weight over 50Kg when confined with a high-end system and custom water cooling. The case support E-ATX, ATX and Micro-ATX motherboards, ATX power supplies, up to three 120mm fans and/or 360mm water cooling radiator. This is clearly a case that puts form over function, but somebody must be rich enough to buy this case, maybe... The In Win Z-Tower will cost thousands. You can join the discussion on In Win's Z-Tower Signature Edition Chassis on the OC3D Forums.